The safest state in the USA? Possibly New Mexico. 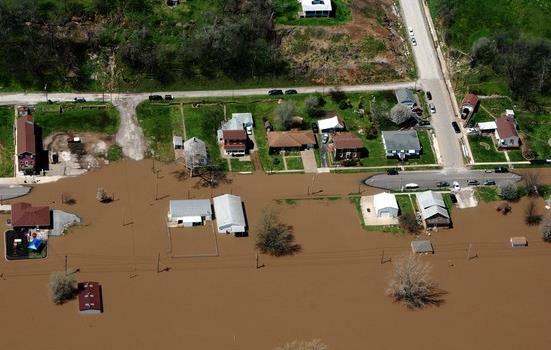 No hurricanes, few earthquakes and tornadoes, but flash flooding takes a toll. Sorry, but I still prefer MSP to Albuquerque. Our cold fronts can be annoying, the snow & ice makes it hard, even dangerous, to get through a winter. I've said it before, I'll say it again: living close to Canada inoculates us from some of the worst weather extremes on Earth. Hurricane Raymond is chewing up the Mexican coastline, while massive, potentially historic wildfires are spawning "pyrocumulus", fire clouds, near Sydney. 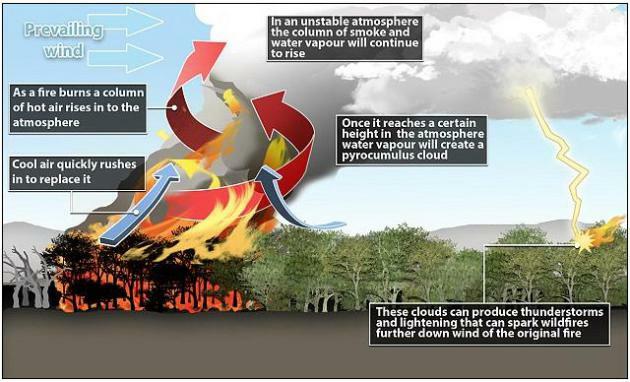 Large fires make their own weather, spewing embers and lightning that can spark more blazes downwind. Just ask residents of Hinckley. And for the record a wide swath of the south, from Texas to Georgia to North Carolina, saw 3 times more billion dollar weather disasters than Minnesota since 1980. There, I'm feeling better already. No sign of Indian Summer, but mid to upper 40s will feel pretty good by late week. No snowy drama brewing, but rain showers are likely Monday, maybe a bigger (rain) storm late next week. It's still early, but Halloween may bring 40s with a chance of rain after dark. Nothing too scary this year. 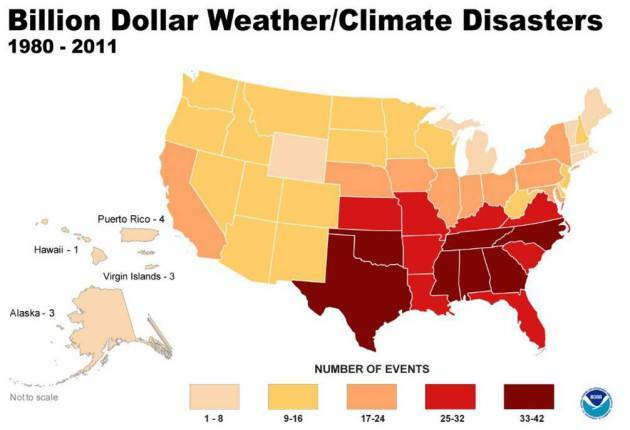 * billion dollar weather/climate disasters in the USA from 1980 to 2011 courtesy of NOAA NCDC. "Graupel". 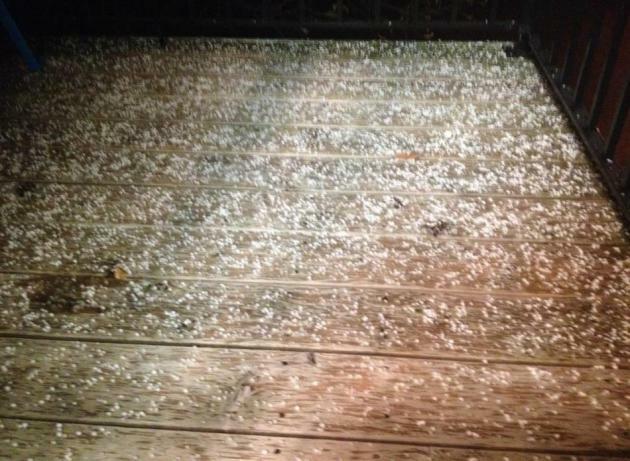 Thanks to Kim Michaels, wife of legendary WeatherNation TV meteorologist Mace Michaels, for passing on this photo of graupel late Tuesday from their home in Shakopee. Definition via Wikipedia: "Graupel (German pronunciation], also called soft hail or snow pellets) refers to precipitation that forms when supercooled droplets of water are collected and freeze on a falling snowflake, forming a ball of rime. 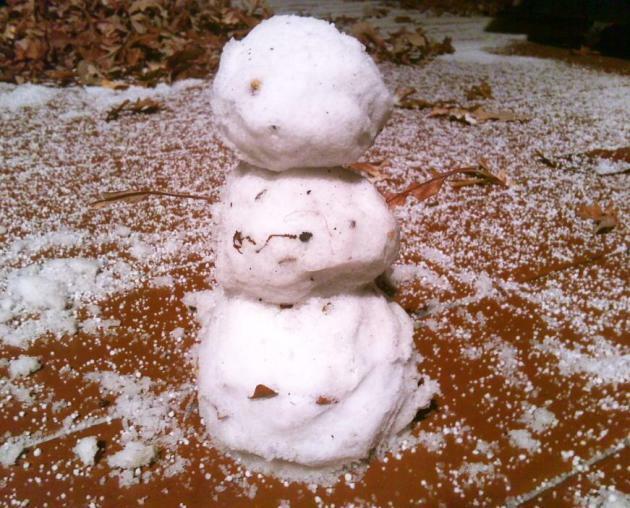 Strictly speaking, graupel is not the same as hail or ice pellets." First Frost/Freeze. Here are Tuesday morning's lows, the coldest temperatures showing up south and west of MSP (the HRRR model did a pretty good job isolating this on Monday). 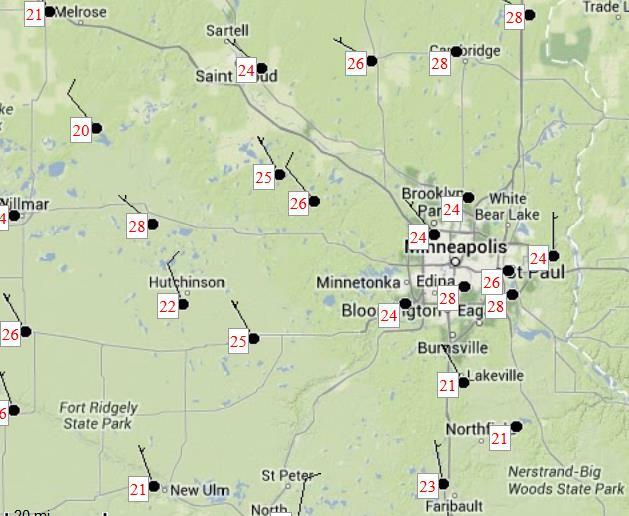 Mid 20s were common across the metro, temperatures as cold as 21 at New Ulm, Lakeville and Northfield. Map: MesoWest. Partly-Soggy Halloween? ECMWF model guidance, valid next Thursday evening (Halloween) at 7pm shows a cold rain overspreading western and southwestern Minnesota. It's too early to know whether waterproof costumes will be required here in the metro; may be a close call. Map above: WSI. Still Stunted. I still expect a couple upward blips in temperature before we settle into the Deep Freeze, but they may not come until November. ECMWF guidance above shows upper 40s Friday, then slightly cooler over the weekend, a chance of a little wet snow mixing in with rain showers Monday and Tuesday, probably all-rain the end of next week. 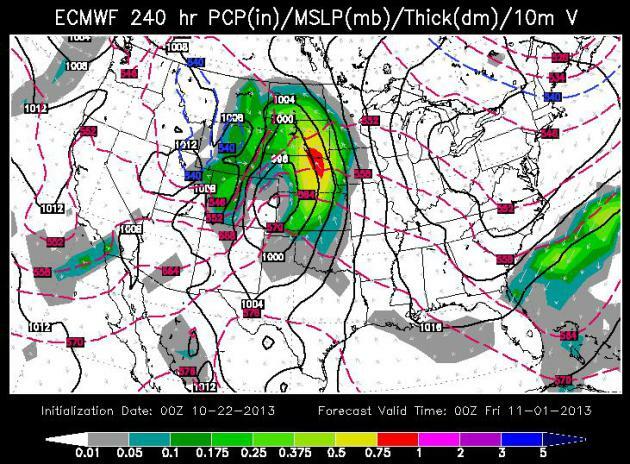 The European model shows a high of 47F on Halloween, any rain holding off until next Thursday night. Graphic: Weatherspark. GFS Solution. NOAA's GFS model is even milder, showing highs in the 50s on Halloween, with relative warmth (?) spilling over into Saturday, November 2, before we cool back down into the 40s for highs much of the first week of November. With An October Like This Who Needs November? Much of America east of the Rockies is getting off to an early start to heavy jacket season, but it doesn't necessarily mean that a harsh winter is imminent. 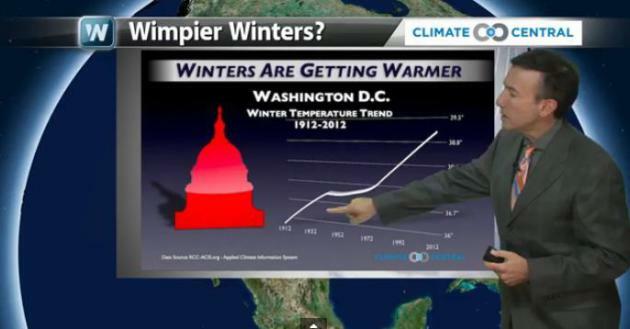 In fact America's winters are trending milder, and less snowy over time. That's the subject of today's Climate Matters: "WeatherNationTV Chief Meteorologist Paul Douglas looks at the trends of increasingly wimpy winters. You're not getting as many frigid days as your grandparents." Snowfall Change Since 1930. Is it possible to discern any real trends in the data since 1930? 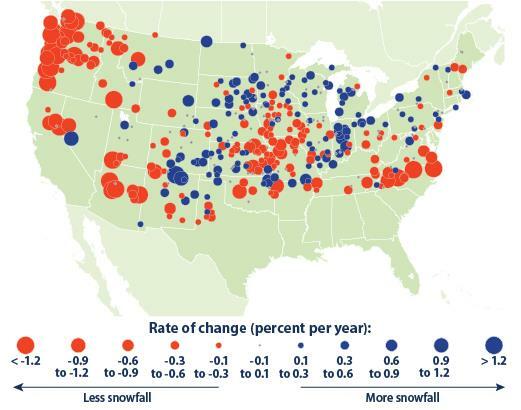 This map from EPA shows the net increases and decreases in winter snowfall for the USA up to 2007. The data shows significant decreases in winter snows for the Pacific Northwest, Arizona and the Central Plains, along with Tennessee and the Carolinas - a slight increse for the Upper Midwest and Great Lakes states. UNC: Why Bosses Want Dreary Weather. Sunny weather is distractingly nice, too nice to work? Possibly. Here's an excerpt from an interesting story at Triangle Business Journal: "Those who enjoy a sunny outdoor day might be disappointed to learn that their bosses probably want it to rain every day. Bosses don’t necessarily have anything personal against sunny weather, it’s just that they get a more productive workforce on bad weather days, according to research from UNC-Chapel Hill, Kenan-Flagler School of Business. According to two studies by operations and finance professors from UNC-CH and Harvard University, weather actually has an affect on productivity. They measured productivity at one company and matched it against precipitation that day, finding that workers were more productive on rainier days..."
New Blaze Fears For Australia As Weather Conditions Turn Bush Fire Into Devastating "Fire Cloud". Large fires can actually make their own weather, helping to dry out surrounding landscapes and breed more fires as embers are swept scores of miles downwind. Here's a good explanation of a worst-case scenario and the potential for "pyrocumulus" from the U.K. Daily Mail: "Catastrophic weather systems known as "fire clouds", sparked by heat from the raging bush blazes outside Sydney, could see southwest Australia hit by devastating lightning storms. The dramatic cloud formations have already been seen over some burning parts of the New South Wales bush last week. But a merging of the biggest wild fires into one "mega blaze" could see temperatures intensify and the atmosphere about the region made unpredictable and potentially dangerous...." (Graphic credit: Daily Mail). 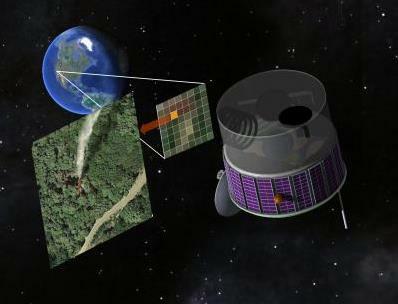 Time Is Ripe For Fire Detection Satellite Say UC Berkeley Scientists. EurekaAlert has the story; here's the intro: "As firefighters emerge from another record wildfire season in the Western United States, University of California, Berkeley, scientists say it's time to give them a 21st century tool: a fire-spotting satellite. Such a satellite could view the Western states almost continuously, snapping pictures of the ground every few seconds in search of hot spots that could be newly ignited wildfires. Firefighting resources could then be directed to these spots in hopes of preventing the fires from growing out of control and threatening lives and property. The UC Berkeley scientists have designed such a satellite using state-of-the-art sensors, written analysis software to minimize false alarms, and even given it a name – the Fire Urgency Estimator in Geosynchronous Orbit (FUEGO). They're hopeful it can be built for several hundred million dollars, either by government or private entities..."
Image credit above: "This is an artist's concept of the FUEGO satellite, which would snap digital photos of the Western U.S. every few seconds in search of hot spots that could be newly ignited fires." Credit: R. E. Lafever, Lawrence Berkeley National Laboratory. 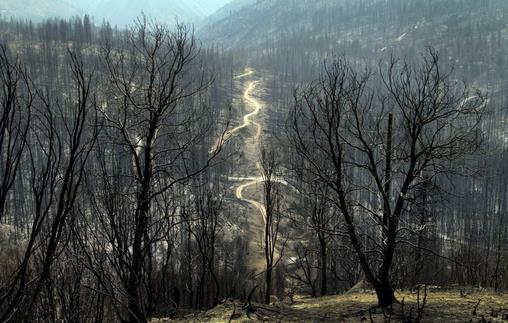 Costly Lesson Of Rim Fire: Forests Need To Be Thinned. Here's a clip from FindLaw: "That movie-based logic is how federal dollars get allocated for forests, say foresters, scientists, environmentalists and others familiar with how fire risk gets handled in the Sierra. The Rim Fire that started Aug. 17 and burned more than 400 square miles has already run up a $127 million price tag for firefighting. On Friday, federal officials announced another $4.3 million in funding for post-fire treatments to damaged watersheds. But cost-effective efforts that might prevent such catastrophic fires languish due to lack of funding and political will, observers say, even though thinning forests using controlled fires to reduce the fuel load would, in the long run, save taxpayers millions..."
Photo credit above: "Burned trees from the Rime Fire still stand in Stanislaus National Forest near Tuolumne, California, on September 13, 2013." (Lawrence K. Ho/Los Angeles Times/MCT). 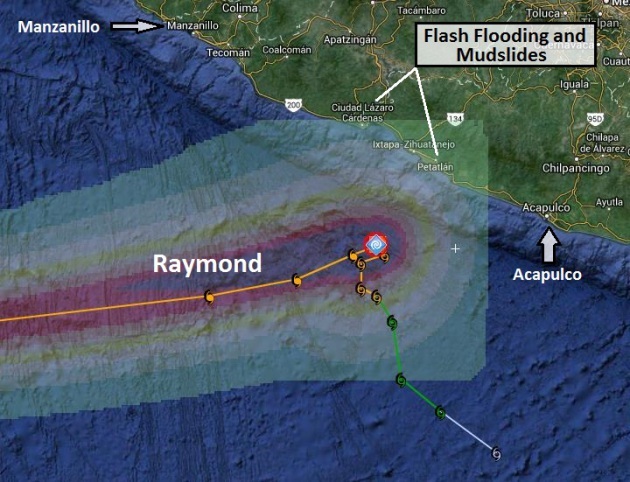 I’ve been monitoring Raymond very carefully over the last few days – trying not to hype a storm that poses only a moderate risk of flooding for Acapulco and Manzanillo. There has been considerable flooding at Ixtapa-Zihuatenejo and Petatlan, but Acapulco is on the fringe of the storm. No extreme flooding or storm surge impact to coastal facilities is expected at either Acapulco or Manzanillo. Raymond is still a dangerous Category 3 storm, but is already showing signs of slight weakening, pulling westward, away from the Mexican coastline. Raymond’s Projected Path. A Category 3 (major) hurricane, Raymond is doing a U-Turn and heading out into the colder waters of the eastern Pacific. Conditions along the Mexican coast should slowly improve over the next 24-36 hours. 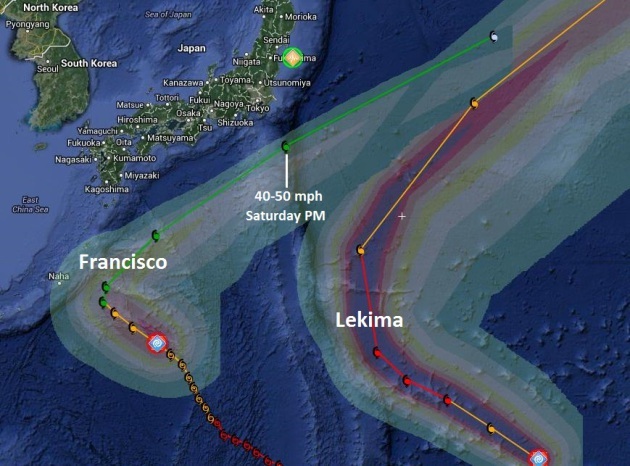 Dueling Typhoons – Near Miss For Japan. We’ve been watching Typhoon Francisco carefully as well, but latest models push the core of the storm farther east, away from Tokyo, weakening Francisco to a tropical storm by the time it brushes the far eastern coastline of Japan with 20-40 mph winds and heavy rain squalls Saturday (local Tokyo time). Minor to moderate flooding is possible (latest models print out nearly 8” rain for Hiroshima) but right now this does not look like a repeat of Wipha a couple weeks ago. Typhoon Lekima takes a track well east of Japan and should not be a factor. We’re watching the tropics and monitoring the brushfires pushing across New South Wales into the far western suburbs of Sydney, a very early start to what may be an historic fire season for Australia. Facilities in and near Sydney should remain on high alert in the coming days – evacuations of some suburbs is a distinct possibility, especially western suburbs. We’ll watch it carefully. Colors Peaking Around MSP Metro. Granted, the timing isn't great with 30s, flurries and a stinging wind chill, but we may be past peak by next weekend, so this will be the week to take in a free eyeful of color, maybe take the drive down Highway 61 toward Red Wing and Winona soon. Map: Minnesota DNR. ENSO-Neutral, But Growing Signs Of Weak El Nino In 2014. 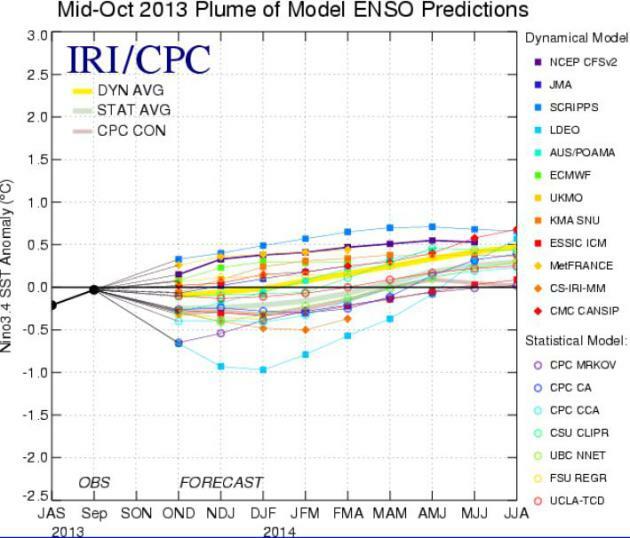 The graph above shows various model forecasts of ENSO, the natural oscillation of wind and water in the Pacific. For several years we've been in a protracted La Nina cooling phase, which may be temporarily masking some of the atmospheric warming worldwide. There seems to be a trend toward a slight warming by early 2014. The definition of El Nino is water temperatures consistently .5C warmer than average for at least 3 consecutive months. Graph: NOAA NCEP. Why The Growth Of Wind Energy Worries Weather Forecasters In Oklahoma. 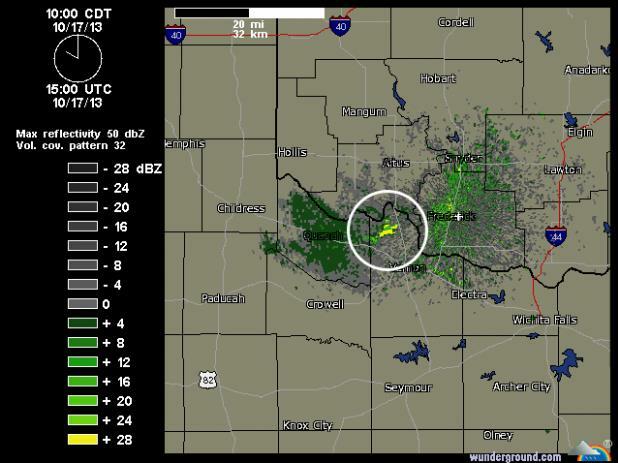 StateImpact NPR has the story of how turbulence from wind turbines can (sometimes) be mistaken for severe thunderstorms on Doppler radar; here's a clip: "...Wind farms are multiplying and expanding in Oklahoma, Texas, Kansas, and throughout the Great Plains, where the nation’s wind energy potential is concentrated. The industry’s growth is worrying weather forecasters because wind turbines can confuse radar. The problem is the 150 foot-long blades spinning atop a wind turbine and the undulating, ominous clouds that accompany severe weather look the same to the computers that digest and display weather radar data, says Ed Ciardi, a meteorologist for the National Oceanic and Atmospheric Administration..." (graphic: Weather Underground). 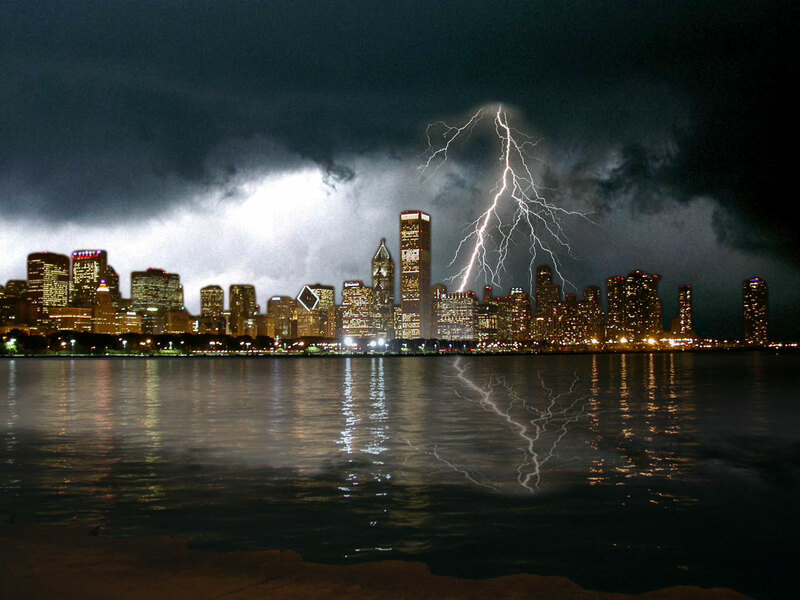 Despite Severe Storms, Sales Of One Vital Policy Remain Low. Are you covered for flooding? Most standard homeowners policies do NOT include flood-related damage under claims - you need to purchase this separately. In the wake of Sandy and major flash floods and river flooding of recent years many Americans continue to take their chances. Insurance Business Magazine has the story - here's an excerpt: "...How do you recover from something when you don’t have insurance?” she said. “People assume that these large-scale disasters will always be followed by a federal emergency declaration that will help them out. That isn’t always the case.” Producers need to ensure that their clients recognize the importance of flood insurance, even if they feel the odds are in their favor. “The big message here is, yes…we do get flash floods,” Walker said. “It’s our most common natural disaster, and we really urge agents to offer flood insurance to everyone and everyone should consider purchasing it, weighing their risk...” (File photo: AP). Sandy A Warning Rising Seas Threaten Nuclear Plants. Climate Central has a story focused on how rising sea level combined with more extreme coastal storms and subsequent storm surges may threaten coastal nuclear power plants; here's an excerpt: "As Hurricane Sandy barreled ashore a year ago, the storm forced the shutdown of several Northeast coastal nuclear power reactors, including the Oyster Creek plant on the Jersey Shore, which took the brunt of Sandy's huge storm surge. 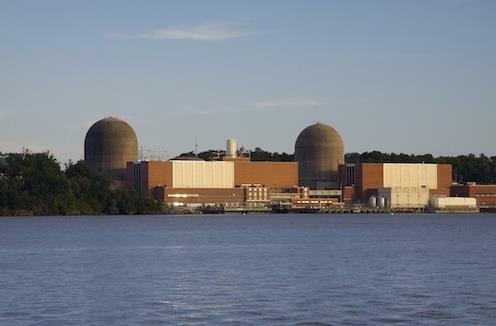 Another reactor at Indian Point Energy Center north of New York City shutdown because of power grid disruptions, and a third reactor in southern New Jersey shutdown when Sandy knocked out four of its circulating water pumps. No nuclear power plant in Sandy’s path was in imminent danger of a meltdown, but the force and size of the storm surge served as a warning that rising seas and higher storm surges, driven in part by climate change, could eventually have a devastating effect on the seven low-lying nuclear power generating sites on the Northeast Coast in future hurricanes..."
Photo credit above: "Indian Point Energy Center on the Hudson River in Buchanan, N.Y." Credit: Bobby Magill. 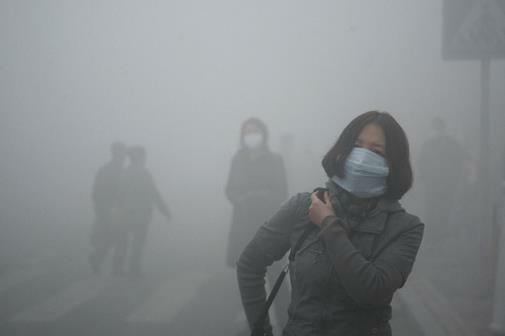 Choking Smog Paralyzes Cities In Northeast China, Closing Schools, Airports. Here is what you get when there's no equivalent of an EPA, when it's "economic-growth-at-any-cost". Portions of China are now unlivable. You can't breathe the air, drink the water or eat the food. Other than that things are going well. Here's a clip from The Washington Post: "Thick, choking smog enveloped cities in northeast China on Tuesday, closing schools and airports, snarling traffic and reducing visibility to a few yards, in a dramatic sign of the country’s worsening air quality. China’s breakneck dash for economic growth has badly damaged the environment, and the rapid deterioration in air and water quality has increasingly become a source of public unrest. As a result, improving environmental standards has become a priority for the government. But the acrid clouds enveloping several cities this week showed how tough that task had become..."
Starpath Spray-On Coating Lights Up The Road. Highway surfaces that glow, reducing the need for street lights? Interesting concerpt, fleshed out in an article at Gizmag; here's an excerpt: "UK company Pro-Teq has developed a new water-resistant, spray-on coating that absorbs UV light during the day and releases it at night, adapting to the lighting conditions in its surroundings. 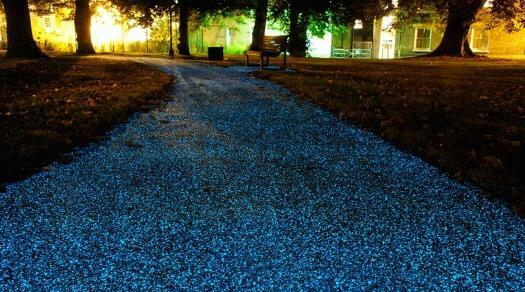 The technology is being given a test run at the Christ's Pieces park in Cambridge, and could prove a cost effective alternative to conventional street lighting..."
Photo credit above: "UK company Pro-Teq's glow-in-the-dark spray coating could prove a cheaper alternative to conventional street lighting." (Photo: Pro-Teq). "Our Story". Here's a visually remarkable and sobering history of our world, the dawn and evolution of civilization, and how it may all end, in a convenient, 2 minute YouTube format, courtesy of Joe Bush. I'm still hoping for a sustainable way forward. A New Definitionat Of Wretched Excess. $38,000 for an iPhone case? Good grief. Details from The Wall Street Journal: "...The latest entry is the Koku, a bedazzled case for the iPhone 5 and iPhone 5S, which comes in both silver and gold varieties. 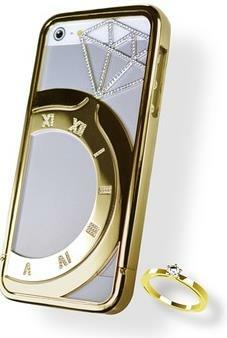 The gold case is fitted out with more than 200 diamonds and sells for 3,776,000 Japanese yen, or more than $38,500. Though the cases are currently sold only in Japan, the president of the Japanese jewelry company that makes them says he hopes to start selling them it world-wide..."
Photo credit above: Phonenet. "This bedazzled gold iPhone case has a price tag of more than $38,500. Diamond ring not included." 40 F. high in the Twin Cities Tuesday. 55 F. average high on October 22. 64 F. high on October 22, 2012. 2.84" rain so far in October. .29" rain in October, 2012 (as of October 22, 2012). U.S. Energy-Related Carbon Emissions Fall To 18 Year Low. Higher fuel efficiencies for vehicles, a transition from coal to natural gas, and tepid economic growth may be the biggest factors, as explained in this National Geographic Energy Blog update; here's a clip: "The last effort in the U.S. Congress to tackle climate change head-on died in 2010, amid ferocious lobbying by interests who argued it would wreck the economy. That bill would have cut carbon dioxide emissions 3 percent below their 2005 level by 2012. The actual 2012 figures are now out and in fact, the United States was able to cut its carbon emissions fourfold below the goal of the ill-fated Waxman-Markey legislation, even though the nation’s economy grew 2.8 percent in 2012. A U.S. Energy Information Administration report released Monday showed that U.S. energy-related carbon emissions last year were 5,280 million metric tons, their lowest point since 1994 and 12 percent below the 2007 peak (and about 11.8 percent below the 2005 benchmark year that was used in the Waxman-Markey bill.)..." 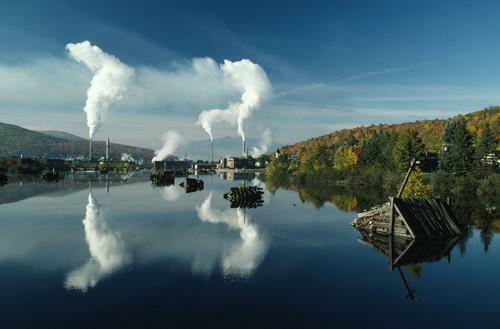 Photo credit above: "Foliage lines the Ancroscoggin River near a Berlin, New Hampshire pulp and paper plant." National Geographic stock image by Sandy Felsenthal. Warm Winters, More Efficient Cars, Less Coal Use Combine For Big Drop In U.S. 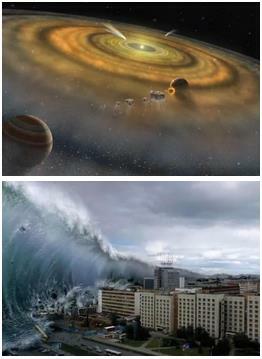 Carbon Pollution. The AP and The Star Tribune has the story; here's an excerpt: "The United States cut its energy-related carbon dioxide pollution by 3.8 percent last year, the second biggest drop since 1990, the Department of Energy said Monday. The only recent year with a bigger percentage drop was in 2009, when America was in a large recession. 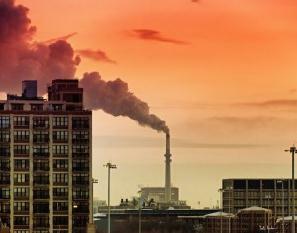 American cars and factories spewed 5.83 billion tons of carbon dioxide in 2012, down from 6.06 billion in 2011. It is the lowest level for U.S. emissions since 1994. Carbon dioxide is the chief man-made global warming gas. 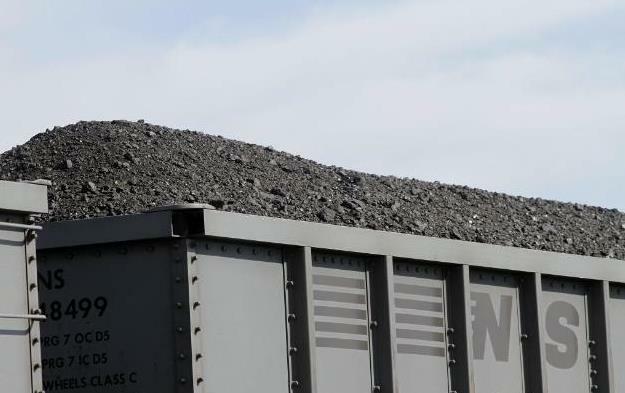 Energy Department economist Perry Lindstrom said carbon pollution reduction is due to warm winter weather, more efficient cars because of new mileage requirements and an ongoing shift from coal-power to natural gas to produce electricity..."
Photo credit above: "A Norfolk Southern Railroad train pulls transport cars full of coal near Goodfield, Ill., on Oct. 9, 2012. The United States cut its energy-related carbon dioxide pollution by 3.8 percent in 2012, the second biggest drop since 1990." Photo: Seth Perlman, Associated Press. Clear Link Between Climate Change And Bush Fires. We call them wildfires here in the USA, in Australia they are known as bush fires, and the one threatening the western suburbs of Sydney is unprecedented, coming so early in the fire season. Here's a video clip and excerpt from a story at The Sydney Morning Herald: "A senior United Nations climate change official says there is ''absolutely'' a link between climate change and bushfires and has warned that the Coalition government will pay a high political and financial price for its decision to scrap carbon pricing. 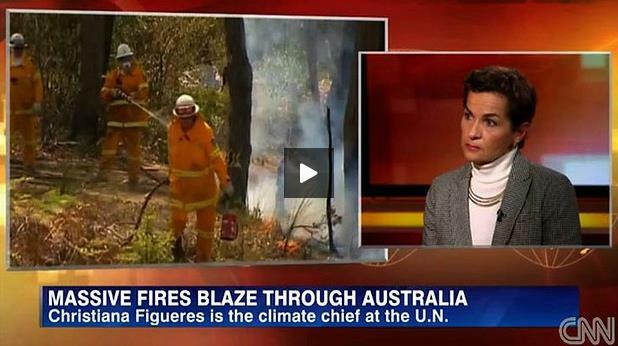 In an interview with CNN's Christiane Amanpour on Monday, the head of the UN's climate change negotiations, Christiana Figueres, said there was a clear link between climate change and bushfires such as those raging in New South Wales.."
The Renewable Boom. The biggest source of (new) electricity generation last year wasn't from a fossil fuel. It was from wind. More details in this article at Time Magazine: "Earlier this year, the U.S. became a net exporter of oil distillates, and the International Energy Agency projects that the U.S. could be almost energy self-sufficient in net terms by 2035. Domestic oil production hit 7.75 million barrels a day in September, the highest level since 1989, while oil imports are at 7.5 million barrels a day and falling. The country that was spending $341 billion on crude-oil imports in 2008 managed to export $117 billion worth of processed oil products in 2012. That’s a lot of money that is staying in the U.S...." (Photo credit: Robert East). Pear Energy. Here's an interesting concept - take advantage of clean renewables, without installing wind turbines or solar panels. More information here. 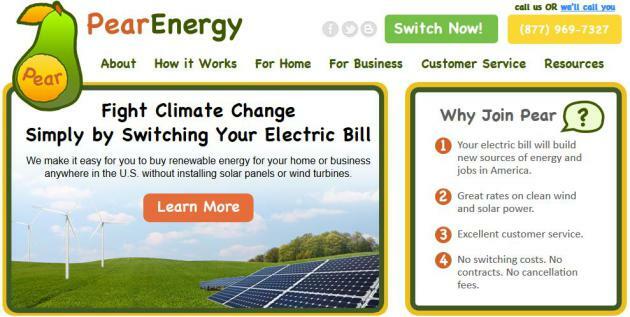 There are numerous options for buying clean, green power, nationwide. EPA has a good interactive map showing all the options here. Why Climate Change Deniers Owe Us A (Scientific) Explanation. Here's a clip from a post written by Graham Wayne: "...I’ve often remarked that climate change deniers have no science. A common retort is that since we ‘warmists’ are making the claims, it is us that need to produce the evidence to support it. On the face of it, this seems fair enough – and indeed we have produced the evidence, not that deniers are prepared to acknowledge any of it. (No surprise there). However, as with calls for probity, accuracy and transparency, one might imagine that such virtues, attributes or burdens of proof would be applicable to us all, not just scientists, advocates or journalists. Evidently, one would be wrong. 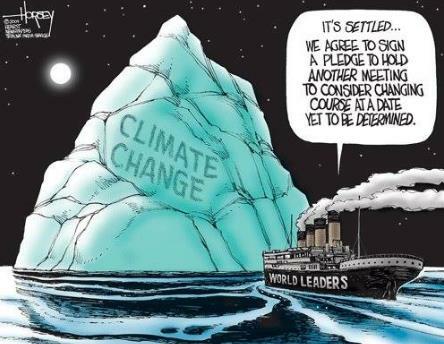 Clearly, deniers do not care to understand that when they make claims, the same rules ought to apply. Describing the changes we have already witnessed as ‘natural variability’ without explaining the forcing or its origin is exactly the superstitious ‘magical thinking’ that Dana discusses, which explains absolutely nothing and has as much credibility in scientific terms as claiming that God did it..."
How Delayed Gratification, Human Self-Interest May Restrict Early Action Against Climate Change. Medical Daily has a very interesting post about the psychology of facing up to long-term risks; here's an excerpt: "Self-interest and time perception may be the most significant obstacles to climate change action, according to a new study. Researchers at New York University (NYU) have determined that the long-term goals of preventive action are not sufficient incentives for nations who fail to cooperate in the face of global warming. The findings suggest that emphasizing the short-term gains may be the only way to spur a concerted effort against the climate shift that threatens to unravel infrastructures and economic systems worldwide..."
* Time Magazine has more details on the new research paper cited in the article above. 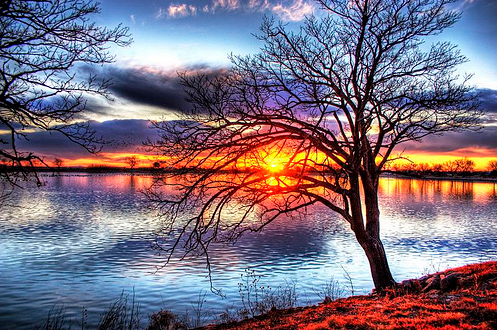 Weathering The Change. USA Today has done a good job documenting examples where a morphing climate is already having an impact on communities around the United States. The site is here. Super-Large-Scale Solar Installations Are Surging In the U.S. Quartz has the article - here's the introduction: "Don’t write Big Solar off yet. With the plunge in photovoltaic panel prices, US utilities that once enthusiastically signed deals for massive solar power plants to be built in the desert began to favor small installations deployed near cities that don’t require the construction of multi-billion-dollar new transmission lines. But a new report shows that so-called utility-scale solar—which supplies more than 10 megawatts (MW) of electricity from a central power plant—hit a new record in the third quarter of 2013. 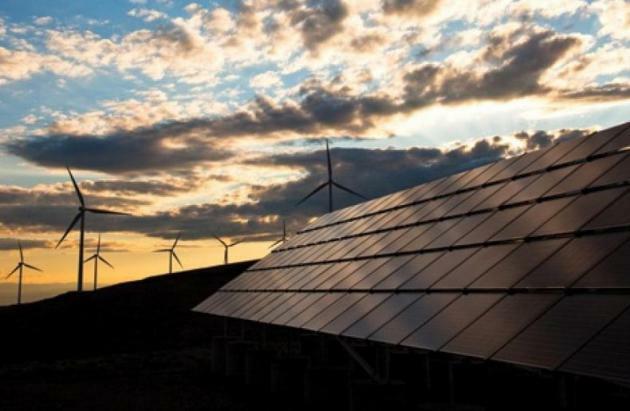 So far this year, 1,081 MW of utility-scale solar has come online, with the flip switched on 282 MW in the third quarter, according to market research firm SNL. That’s a 15% spike over the third quarter of 2012..."
Climate Change: A Note From Our Letters Editors. Yes, you're free to have whatever opinion you want to have. That doesn't mean you're free to make up facts or cherry-pick data, as the editors at the Sydney Morning Herald point out; here's an excerpt: "...We do not ban writers whose views suggest they are climate change deniers or sceptics. We consider their letters and arguments. But we believe the argument over whether climate change is happening and whether it is man-made has been thrashed out extensively by leading scientists and on our pages and that the main debate now is about its effects, severity, and what society does about it. 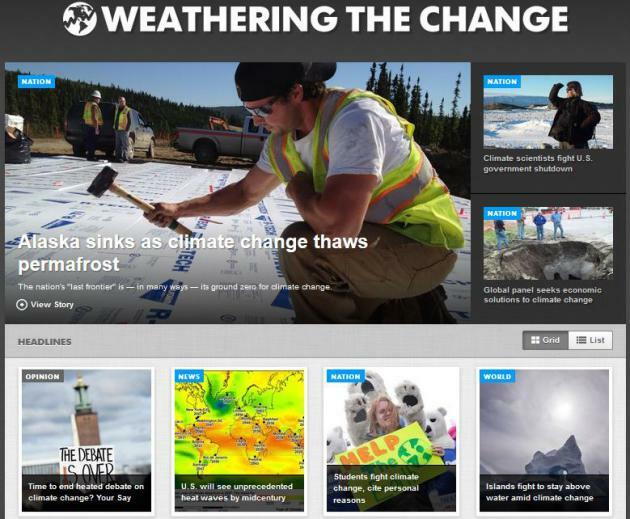 Climate change deniers or sceptics are free to express opinions and political views on our page but not to misrepresent facts. This applies to all our contributors on any subject. On that basis, a letter that says, "there is no sign humans have caused climate change" would not make the grade for our page." 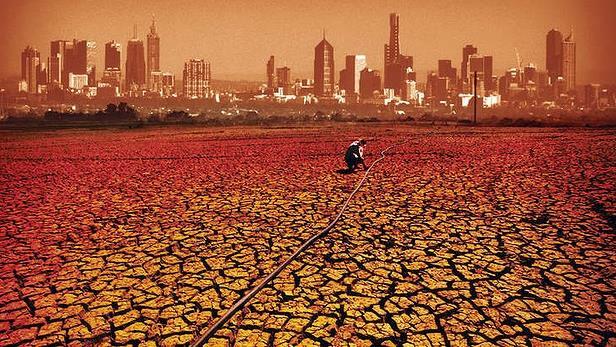 Image credit above: "Five degrees hotter... our climate in 90 years." Digital illustration Photo: Matt Davidson. Global Warming Forecast For Amazon Rain Forest: Dry And Dying. Live Science has an update on the troubling trends in the Amazon; here's the intro: "The Amazon rain forest's dry season lasts three weeks longer than it did 30 years ago, and the likely culprit is global warming, a new study finds. Rain falls year-round in the Amazon, but most of the annual deluge drops during the wet season. (The rainy season's timing varies with latitude.) Scientists think that a longer dry season will stress trees, raising the risk of wildfires and forest dieback. 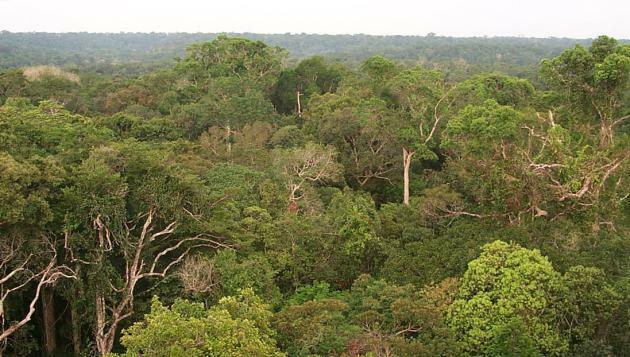 The forest's annual fire season became longer as the dry season lengthened, according to the study, published today (Oct. 21) in the journal Proceedings of the National Academy of Sciences..."
Photo credit above: "The rain forest canopy north of Manaus, Brazil." Credit: NASA LBA-ECO Project. U.S. Oil Supply Looks Vulnerable 40 Years After Embargo. Shale oil helps our overall energy needs, but we are still vulnerable to disruptions in oil supply lines, according to this article at USA Today. Here's a snippet: "...We remain very vulnerable," Panetta says, adding it wouldn't take much for members of the Organization of Petroleum Exporting Countries (OPEC) — which launched the 1973 embargo — or terrorist groups like al-Qaeda to disrupt supplies. He says the U.S. is using less oil per capita than decades ago and relying on the Middle East for a smaller share of its imports, but those shifts almost don't matter. World oil prices, which largely determine what Americans pay at the pump, remain high, because developing countries including China and India are driving up demand. With global oil supplies so tight as a result, even a small disruption rattles the markets and causes price spikes. That's why, despite a 50% increase in U.S. oil production since 2008, the price for a regular gallon of gas remains so high. 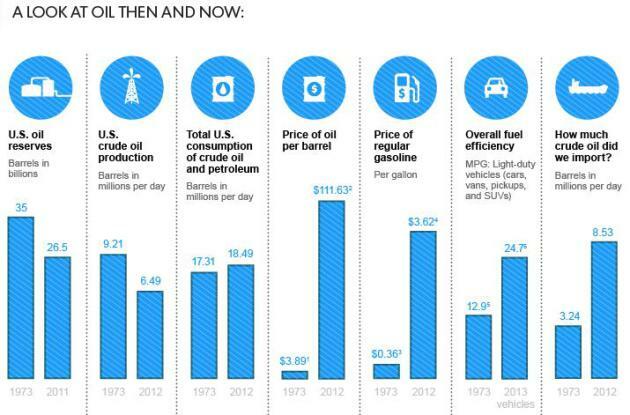 It costs, in inflation-adjusted dollars, twice as much as 40 years ago..."
Image credit above: American Petroleum Institute, U.S. Energy Information Administration, Institute for Energy Research, Michael Sivak and Brandon Schoettle, University of Michigan;1 - Which is $20.12 in 2012 dollars. 2 - For Brent crude. 3 - For leaded regular, which is $1.85 in 2012 dollars. 4 - For regular. 5 - Average on-road performance. 6 - Average sales-weighted fuel economy using the EPA window-sticker value. Janet Loehrke and Joan Murphy USA TODAY. In Canada's Alberta Province Oil-Sands Boom Is A Two-Edged Sword. 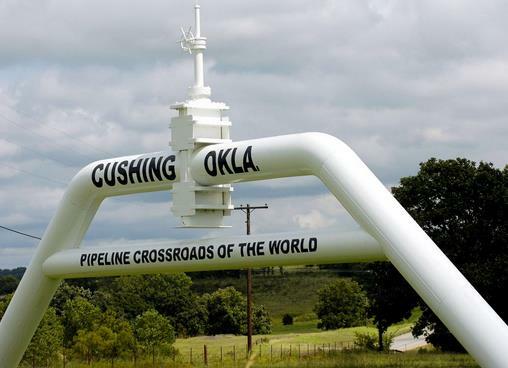 What are the health implications of the Keystone XL Pipeline? The Los Angeles Times takes a look at environmental and health impacts already observed in Alberta, Canada - here's an excerpt: "...Three weeks ago, government scientists told villagers that they had found high levels of mercury, a hazardous substance, in the eggs of migratory birds that nest downstream from oil sands production. Fishermen say pickerel and northern pike in the lake show bulging eyes and other deformities. Three studies by independent scientists have shown rising concentrations of pollutants, including carcinogens, in waterways near Alberta's oil sands production. Industry officials and the Alberta government have long insisted that the chemicals detected in area waterways are naturally occurring, not the result of pollution. They also say they are taking full safety precautions to protect communities tucked into a vast wilderness. Some of the indigenous people, known as the First Nations, have hunted and fished here for thousands of years..."
File photo above: AP Photo/The Oklahoman, Matt Strasen. 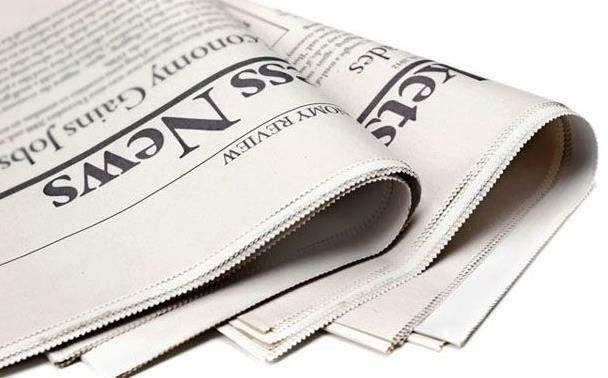 How 9 Major Newspapers Deal With Climate-Denying Letters. Healthy skepticism, on any topic, is probably a good idea. But ongoing cynicism and outright denial, in the face of overwhelming scientific evidence and observations? It almost makes one wonder whether some of this push-back is...orchestrated? Mother Jones has the story - here's the introduction: "If you've looked through the letters sections of US newspapers, you've probably read that human-caused global warming is a "hoax" and a "myth." You've also likely read about how "mankind cannot change the earth's climate" and how the carbon dioxide we release isn't a "significant factor" driving global temperatures. But recently, the Los Angeles Times took a stand against this type of misinformation. Paul Thornton, the paper's letters editor, wrote that he doesn't print letters asserting that "there's no sign humans have caused climate change." Why? Because, he wrote, such a statement is a factual inaccuracy, and "I do my best to keep errors of fact off the letters page." He cited the UN Intergovernmental Panel on Climate Change's recent statement that scientists are at least 95-percent certain humans are causing global warming..."
Image credit: M. Unal Ozmen/Shutterstock. 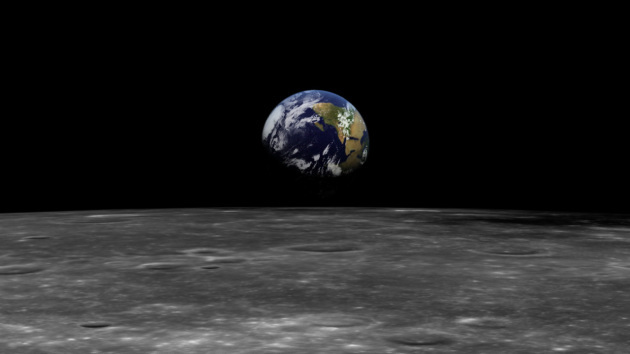 Saving The Planet From Short-Termism Will Take Man-On-The-Moon Commitment. The Guardian Economics Blog has the post, here's an excerpt: "...Contrast that with today's America, which looks less like the leader of the free world than a banana republic with a reserve currency. Planning for the long term now involves last-ditch deals on Capitol Hill to ensure the federal government can remain open until January and debts can be paid at least until February. The US is not the only country with advanced short-termism. It merely provides the most egregious example of the disease. This is a world of fast food and short attention spans, of politicians so dominated by a 24/7 news agenda that they have lost the habit of planning for the long term..." (Apollo 17 file photo courtesy of NASA).